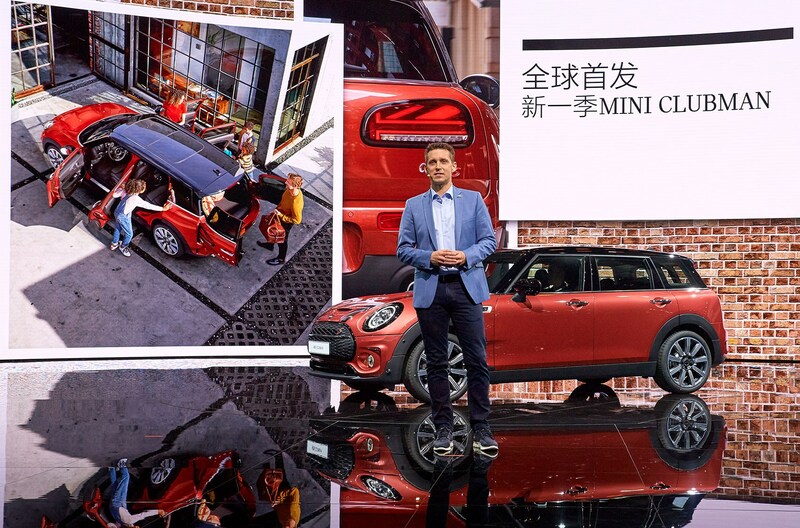 Mini’s estate has been facelifted in line with the hatchback - and the new Mini Clubman was unveiled at the 2019 Shanghai motor show. This was one of the lower-key new models at the Chinese car show, but still worth recording - even if only for the Union Flag rear lamps that’ve finally ported across from the hatchback to the quasi estate. How apt for a Brexit-strewn United Kingdom in 2019. 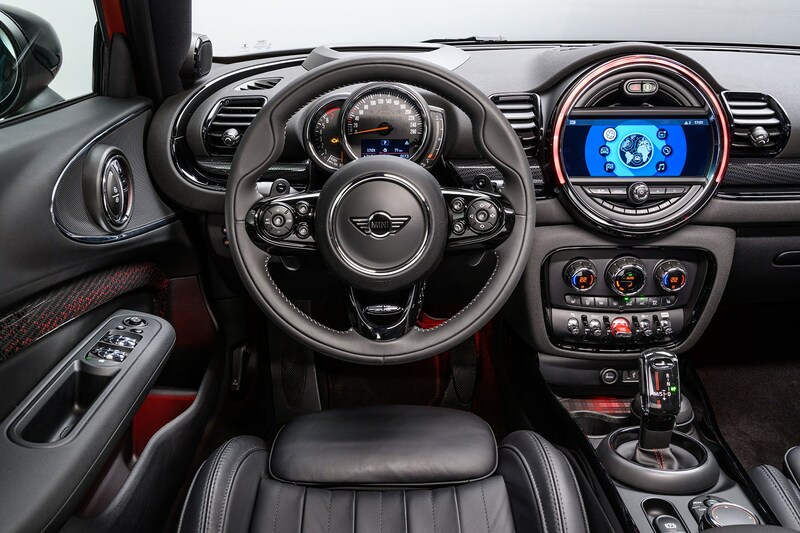 So what else is new on the facelifted 2019 Mini Clubman? Not a huge amount else, if we’re being honest. Those ‘Cool Britannia’ rear lamps shaped around the UK’s national flag are the most apparent tweak. Tellingly, they’re not compulsory in every market. There’s also a new grille, which is widened to stretch across the whole bumper at the front end. Bonus spotter points to anoraks who also notice the reprofiled air intake (upgradeable to have six chrome horizontal slats instead of black ones, if you spec the latest Exclusive trim). 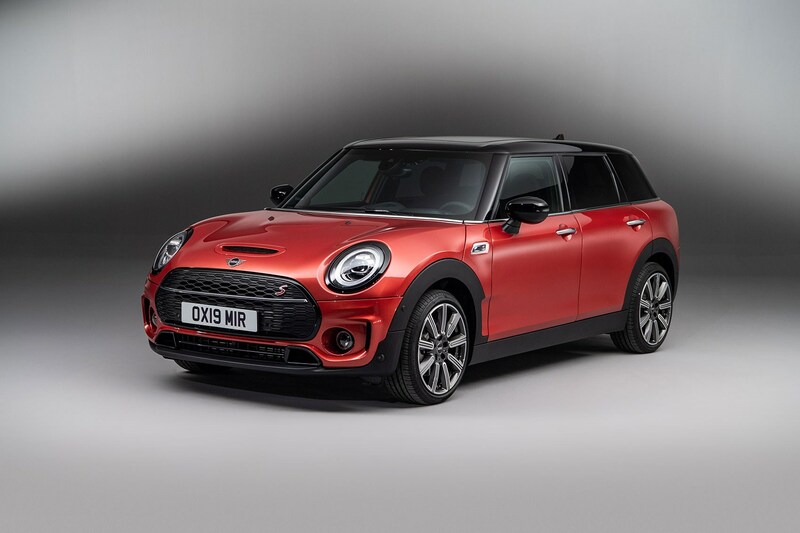 Upgrade to the go-faster Cooper S model and you get a hexagonal grid pattern instead - for full-on sh-porty reds. 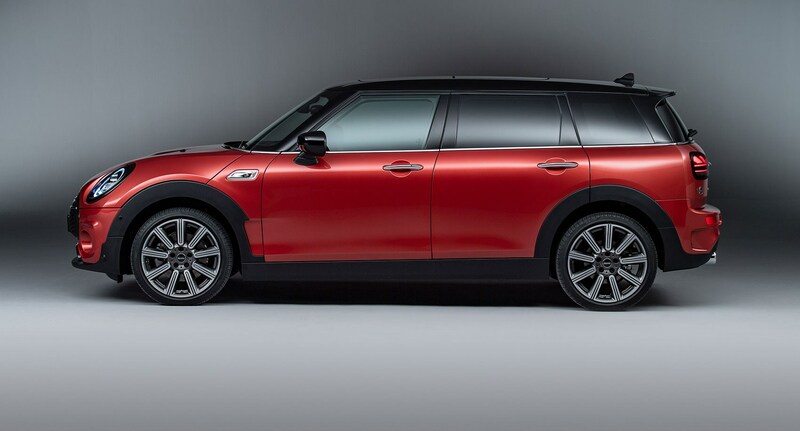 Three new colours are launched on the 2019 Clubman range (reflecting how little has changed on this facelift): Indian Summer Red metallic - as shown in the gallery above - Yours Enigmatic Black metallic and British Racing Green metallic. All models come with 16- or 17-inch alloy wheels, although owners can upgrade to 18- and 19-in rims for a fee. Prices, specs, when can I buy one? 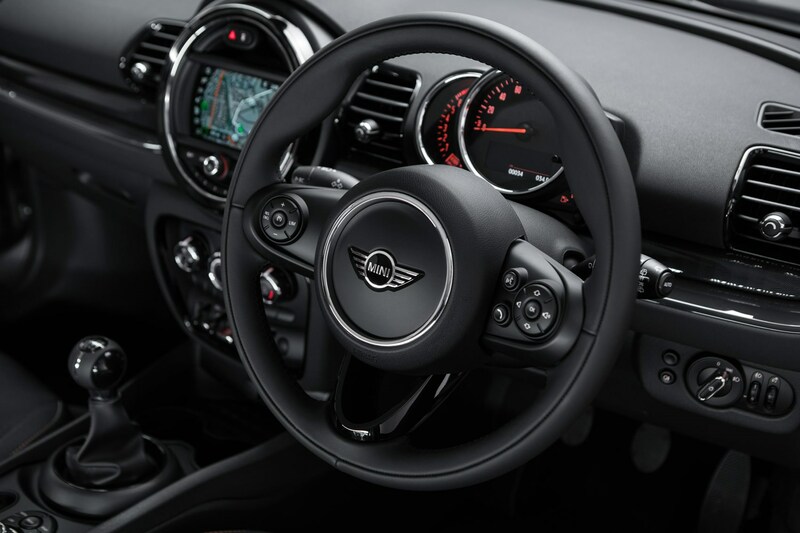 All models come with a 4G SIM card, which means you can call the emergency services in the event of a crash and power the latest Mini Connected App, for sending nav instructions from your phone to the car, checking where you’ve parked and unlocking the car remotely. 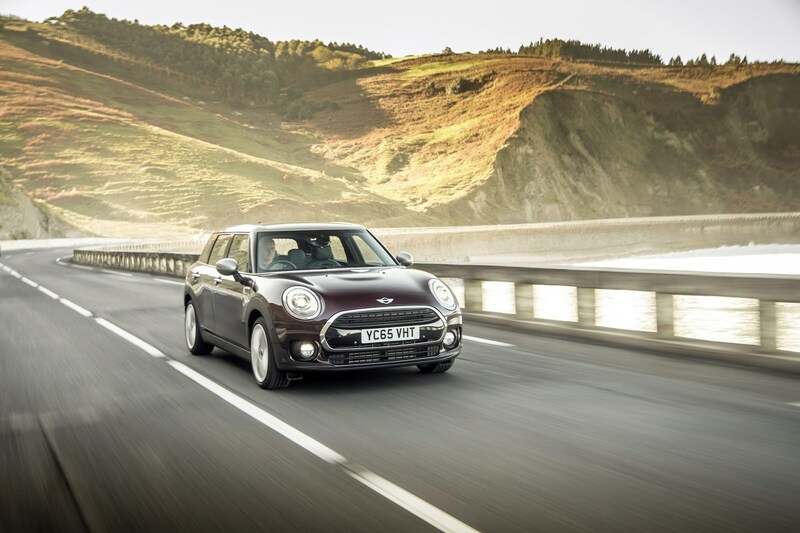 In 2018 Mini added a new model to the Clubman range in order to better appeal to the UK fleet market. 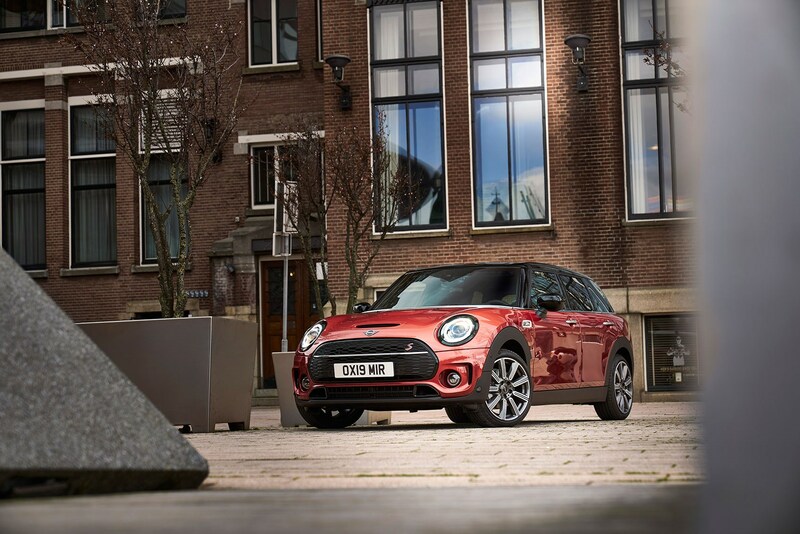 The Clubman City was ‘developed specifically for the corporate market,’ the company admits - you're looking at a Mini mile-muncher. So what do you get? Well, Mini has thrown in some ‘essential’ company car driver kit including sat-nav, rear parking sensors, air-con and Apple CarPlay. 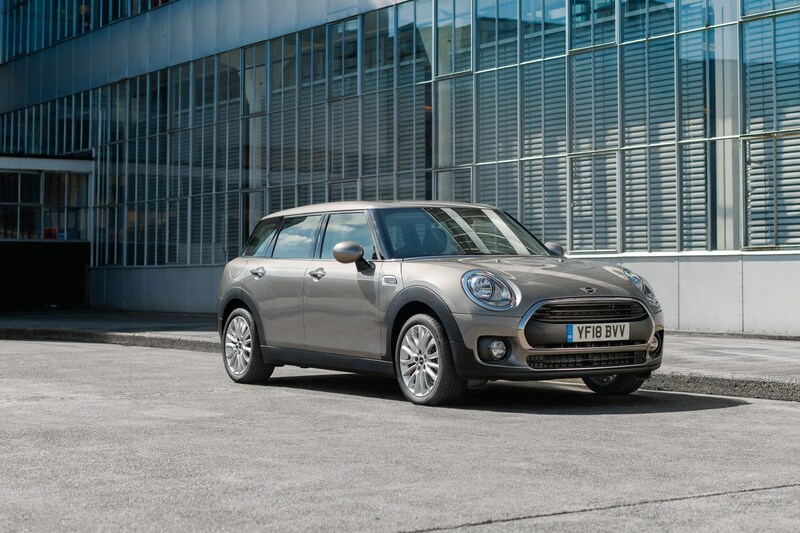 In order to keep your BiK rates down, the Clubman City is available with either the Cooper’s 1.5-litre three-cylinder turbo petrol engine or a 1.5-litre three-pot diesel, with the latter claiming 109g/km under the new WLTP cycle. All Minis and BMWs now conform to WLTP. Want one? It can be yours from £19,995 for the manual gearbox-equipped petrol. 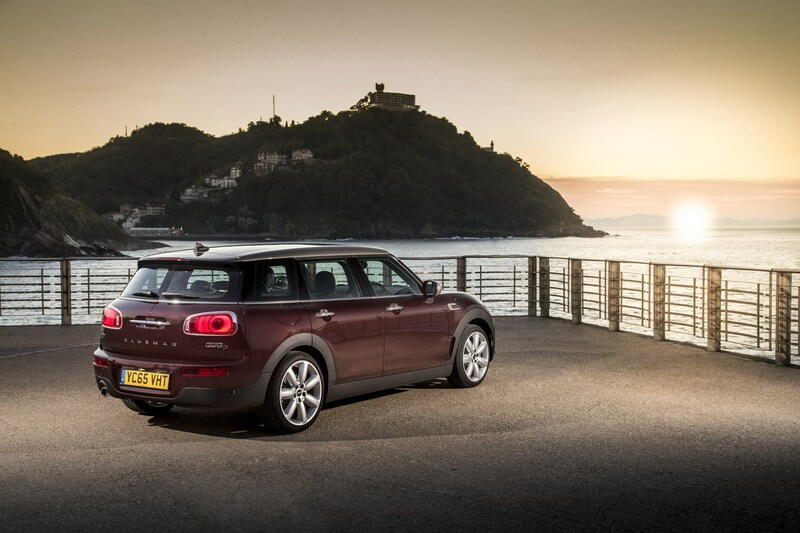 The Mini Clubman made its public debut at the Frankfurt motor show in 2015 - and the big news was the Mini estate kept the 'barn-door,' van-spec split tailgate but added full-size rear side doors. 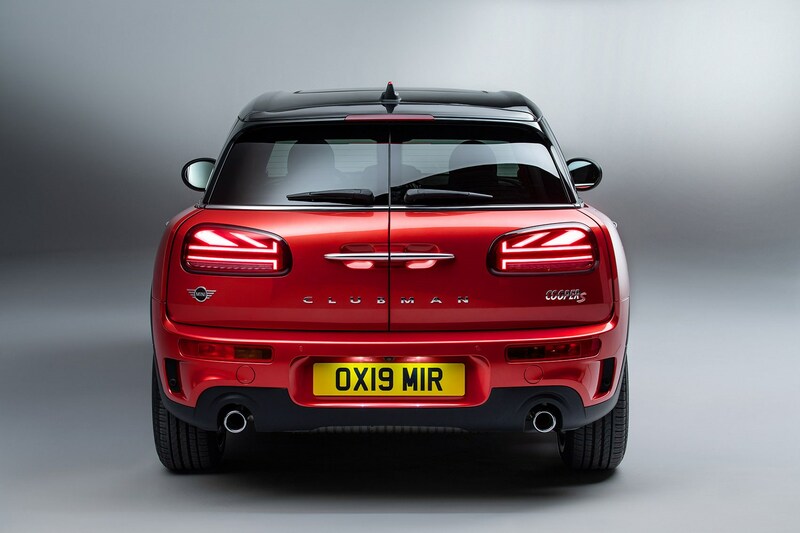 It’s very much in keeping with the 2014 Mini Clubman concept, which trailed the new look. 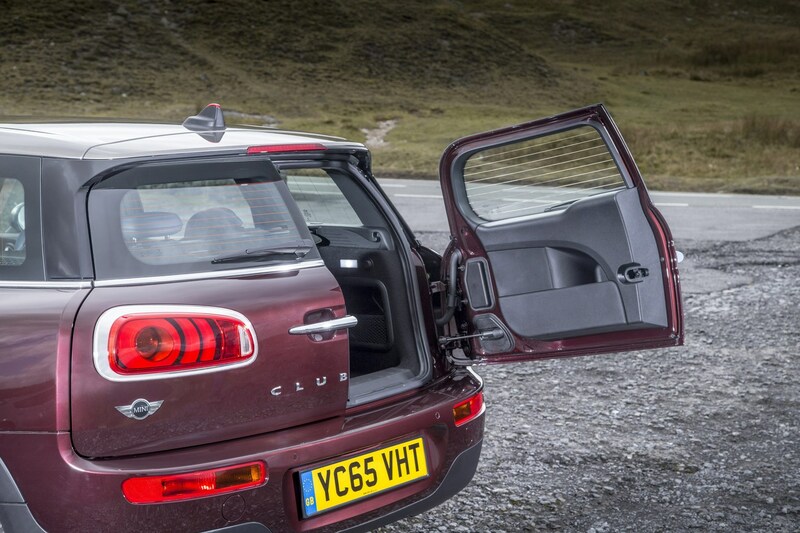 The twin-wipered rear doors dominate the styling, with huge, thick chromed handles and this time the vast, over-sized rear lights are integrated into the tailgate, opening with the doors rather than staying on the car body. And if they look heavy, fret not; there's a waggle-foot-under-bumper function that opens them automatically, and you can operate them from the keyfob too. 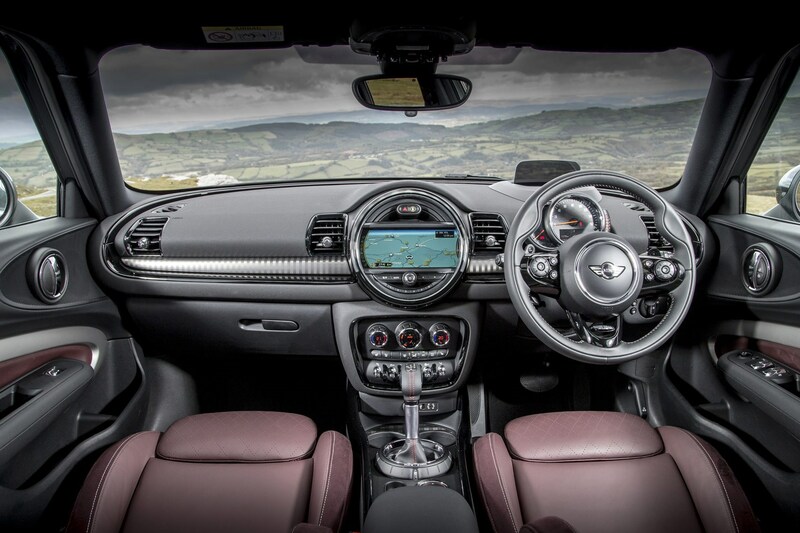 Mini responded to complaints that the asymmetrically-doored predecessor wasn't practical enough. 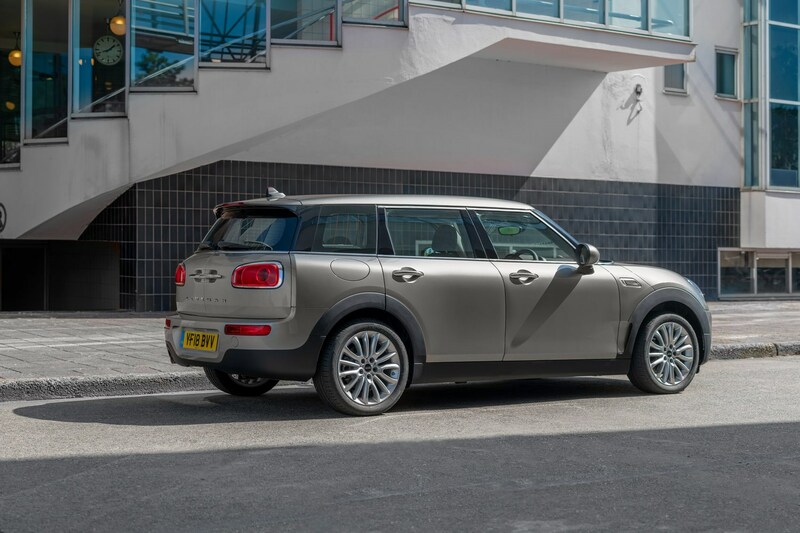 With a solitary rear door on the right-hand side, the first modern Clubman spat out second-row passengers - typically children! - on to the road in right-hand drive Britain, its home market. Hence the addition of an extra rear door, but now both are conventionally hinged; the suicide-hinged complexity has been binned in the name of cost-saving. 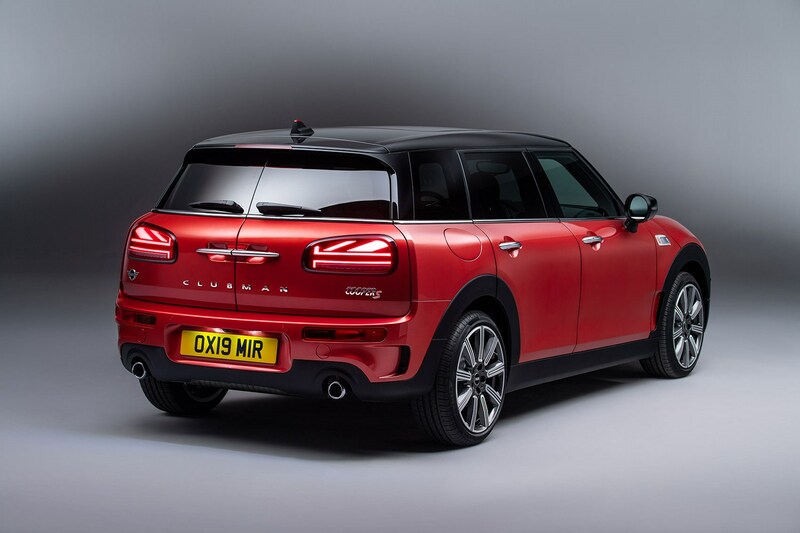 And just look at how much bigger the new Clubman is: it's a huge 270mm longer and 73mm wider than the already-big Mini five-door hatchback, and there's an extra 100mm between the axles. Make no mistake: this is now bordering on a Golf Estate sized competitor - at 4253mm long, it's only slightly shorter. Mini claims a 360-litre boot capacity, jumping to 1250 litres with the rear seats folded (a process you can do by tugging a lever in the boot). There's also a hidden load area beneath the boot floor for storing valuables. Elsewhere, a smattering of typical group tech: a head-up display is offered and a double-length sunroof should make the interior bright and airy.